New York City is a thrilling and challenging place to be an artist. For NYFA Acting for Film Conservatory alum Ludovic Coutaud, creating site-specific shows crafted to play off iconic performances spaces within the city has helped him forge a specific and entirely original path as a performer, producer, and creative director. 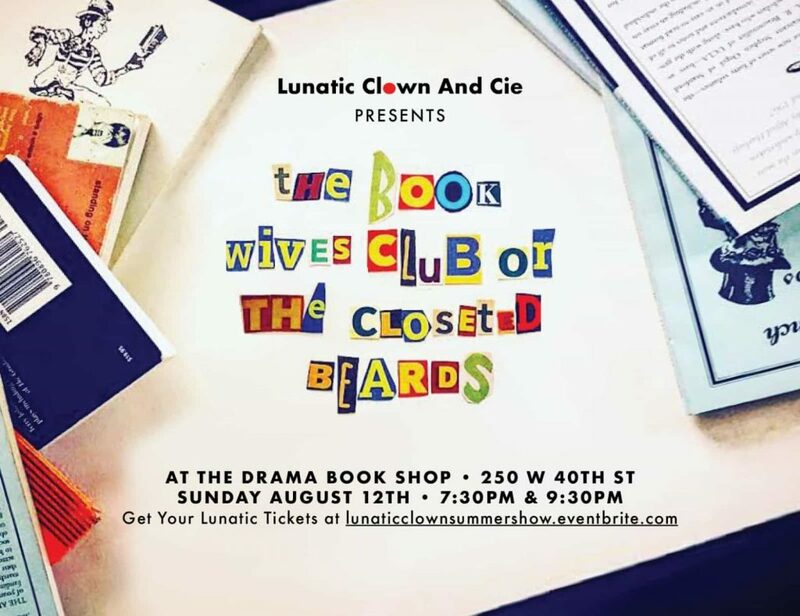 Coming up this summer, Lunatic Clown And Cie, the international theatre company Coutaud founded and serves as artistic director, brings The Book Wives Club (or The Closeted Beards) to the iconic Drama Book Shop library. 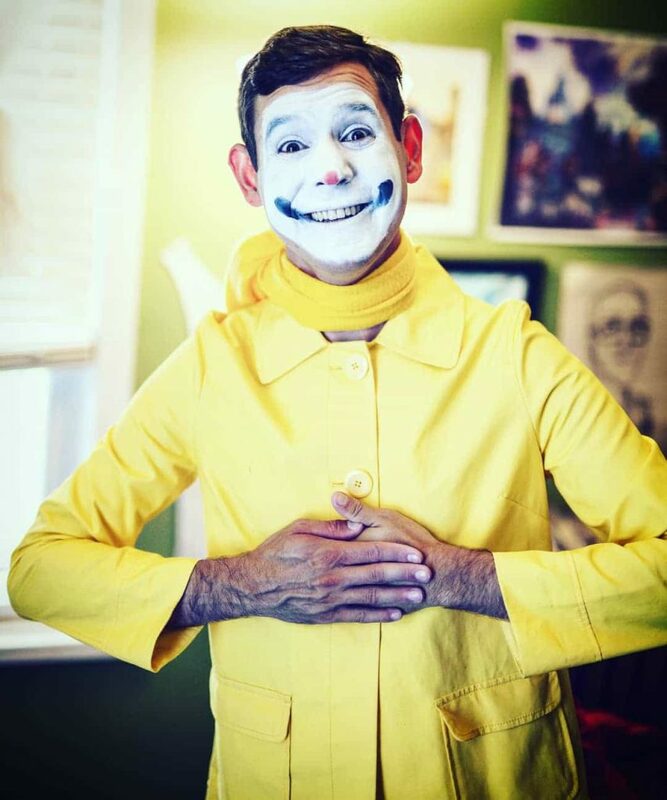 Here, he tells the NYFA Blog what it’s like to perform original clown shows in New York City, and why it’s important for artists to produce their own work. LC: I studied Acting for Film at NYFA in 2011, and had a blast learning from this very talented faculty. 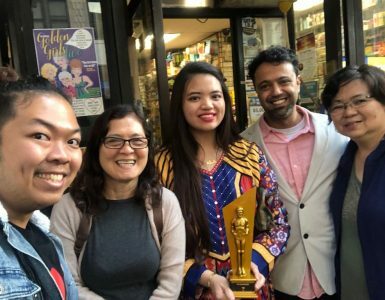 I had visited the campus two months prior as a New York tourist with my parents and loved the idea of studying acting in another language among other foreigners. That is something that makes New York Film Academy such a strong, diverse school. We were 12 students in my class and only three Americans were present. I remember liking to call my class the United Nations of NYFA. NYFA: Why acting and directing? What draws you to storytelling through performance? LC: I started directing in Marseille, France where I am from, with my first acting teacher directing the end-of-year kids’ shows. It was a true leap of understanding the craft even better, and I found myself being able to communicate my directions more specifically having known what it was like to receive notes. It also taught me the importance of collaboration. LC: I loved every class for several reasons. The one I discovered entirely and had the most fun with was maybe Maggie Reed’s TV Sitcom and Soap Opera class during the second semester. These formats are very uncommon where I am from (especially the laugh tracks in the background). I learned lots of new tricks and techniques that I still use to this day. 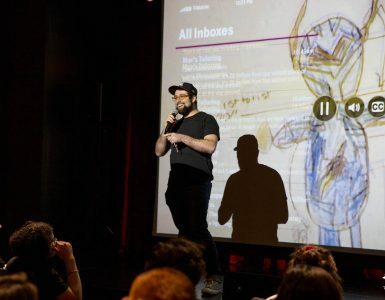 NYFA: Tell us a bit about your company Lunatic Clown And Cie. What inspired you to start the company, and how do you juggle your multinational and genre-bending productions? LC: I have written, directed and produced a dozen of shows in New York City under my name and I have developed a new style through these selections of projects. I’m now six years into the process — but I’ve been called a “clown” all my life! For those who know, clowning is a word that resonates out of the ordinary for certain cultures. For example, here in America clowns are often associated with birthday parties and dark serial killer stories. Well, my company, style, and the values behind every show aren’t remotely close to that. I call my clowns “tall children,” or poetic souls. Many names could be found. The style is complex. When I first discuss it with the actors involved in my company, I share information with them — like a chart of what to do and not do, and how to find the goal to achieve. Each clown piece is one simple, heartfelt story. I want to always find all the possible nuances and converse about the topic with all my clowns one on one. After 7 years juggling between the arts and other wonderful jobs, I have luckily been able to maintain my main target to why I came to New York in the first place. That’s also why it was time for me to brand all of my style under a name that would be catchy, mysterious yet personable: Lunatic Clown And Cie.
NYFA: As a producer and performer, what challenges do you face when creating your shows, and how do you overcome those challenges? LC: Producing a show is hard work, yes, but if you do believe thoroughly in the project, things seem to flow a bit more. Throughout the years, struggles have shifted. My hat of producer joins creative, executive (financing), and supervising roles. Where other projects would hire three people, I found myself loving to do these three positions. My style being different, I needed to have very strong collaborators by my side who would understand me 100 percent. From show to show, I have found that person to assist me along the way on one or two projects, co-direct or even invest in the shows — and most importantly, friends who believed in my work. To this day, gathering a group of passionate risk takers, willing to join a community of artists and be clowns, has been a challenge. From all these hats, I would say I added the one of “eager artist hunter” to amplify the panel of the performers who I had the chance to work with. NYFA: Your summer show The Book Wives Club (or The Closeted Beards) uses clowning to explore the theme of denial. What an interesting combo — what led you to this theme? Why this show, now? I remember thinking how interesting that was, so I did find the inspiration to write two new pieces: Look at Me, and now this one. This time, I decided to explore that major topic through physicality only. Again, you realize that clowning and performance art here is the same family for me. Timing is very interesting and the society we live in fascinates and aggravates me at the same time. I had a list of eight shows of mine waiting around and I picked this one because I got the Drama Book Shop. This the third time that I have contacted the Drama Book Shop team. Four pieces of mine have swept the stage of the Arthur Seelen Theatre already and this time I had decided to rock the library. That location is ideal for several reasons; it is an actor’s temple, it gathers stories waiting to be told, it is a pleasure to work with the staff and is a centered location for many involved. The show is not Rated R but for everyone. This piece is for all. I look forward to discussing this piece with the audience members. NYFA: What’s next for you and The Book Wives Club (or The Closeted Beards)? LC: The Lunatic Clown And Cie show Voyage will be next at the New York New Works Theatre Festival 2018 at Theatre Row in September. NYFA: Would you say that your time at NYFA was at all useful for preparing for the work you are doing now? LC: NYFA was indeed very helpful since I had the chance to work on several student films and learned from other departments and teachers. My curiosity and the proximity of campuses made me eager to keep learning and that hasn’t changed. Congratulations, Ludovic! If you’re in New York City, get your tickets for The Book Wives Club (or The Closeted Beards) here.